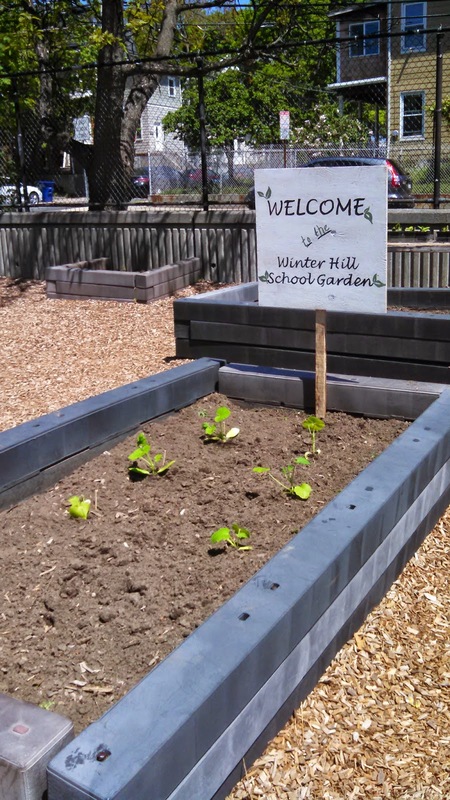 The Winter Hill School Garden has had a very busy spring and summer. 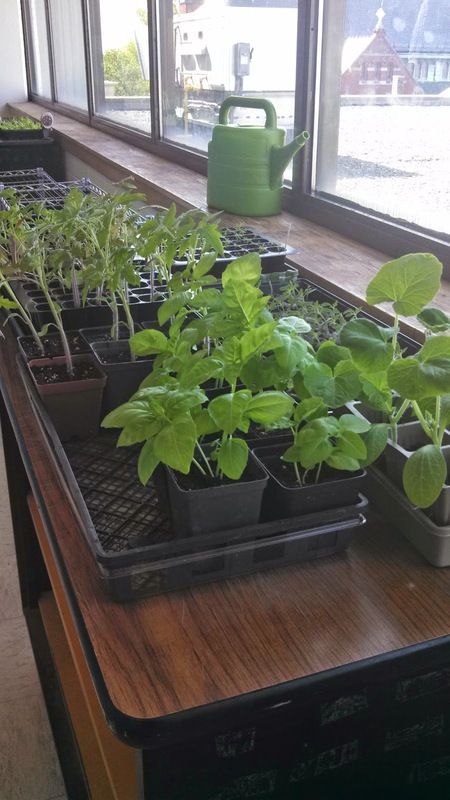 The school's principal, Chad Mazza, is enthusiastic about the newly planted school garden and believes it "engages all the senses" while "increasing student knowledge of agriculture, seasonality and eating whole foods through hands-on experiences." 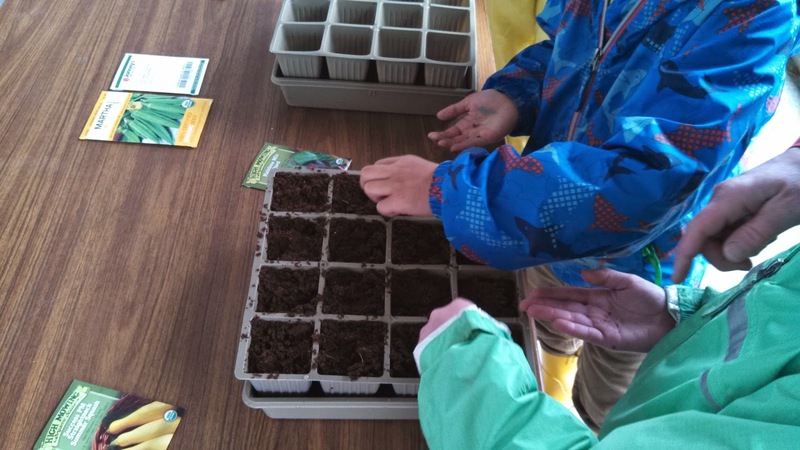 A planting party early in the spring, kicked off the Winter Hill gardening season. 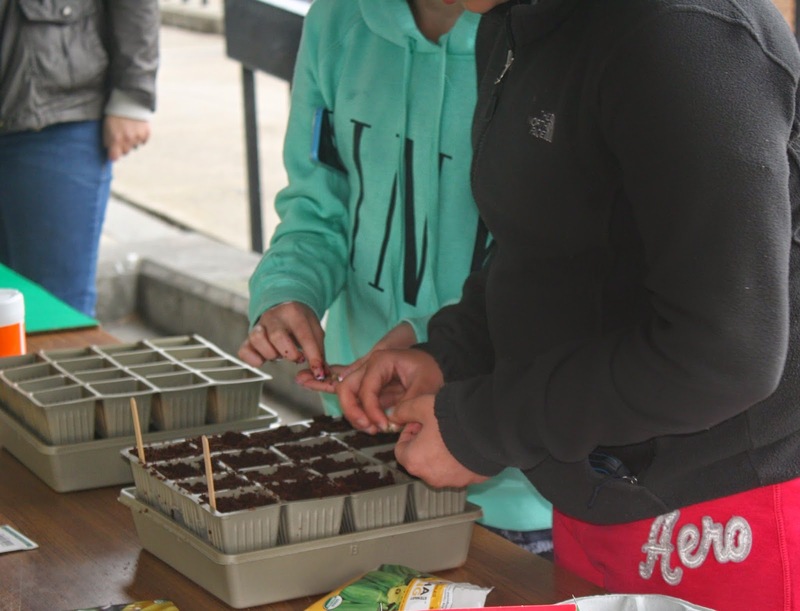 On a rainy day over April vacation, half a dozen students stopped by the school to plant seeds in pots and directly in the garden. Sadie Richards (GWS) and Tricia DiPasquale (Winter Hill Kindergarten Paraprofessional) also pitched in to help plant. 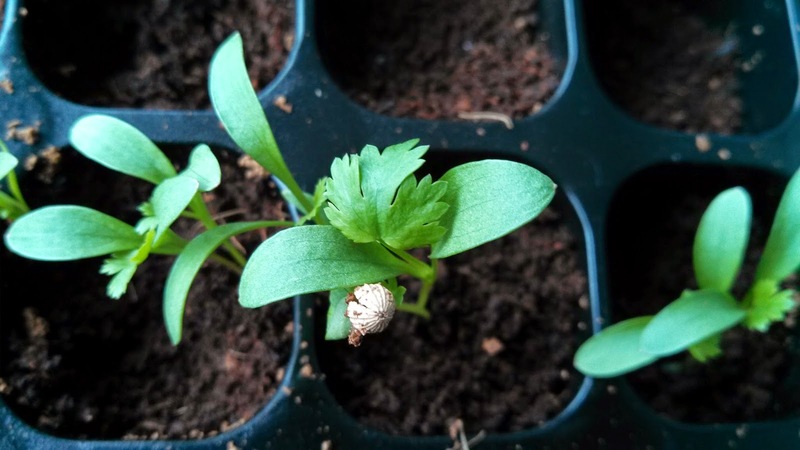 For some, it was the first time they had planted a seed. One student said, "My seed look just like a snail it was pretty AWESOME!!" Another observed that "the cucumber seed is tiny!" All in all, they enjoyed the planting party. 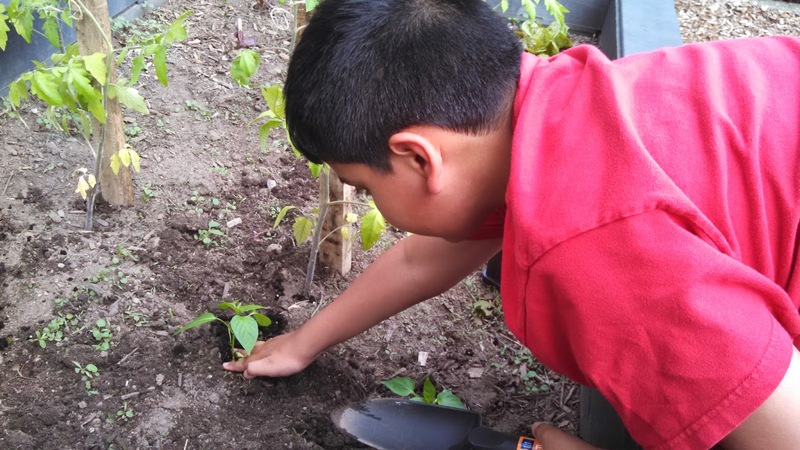 Later in the spring, an afterschool program, headed up by Emily May of "e" inc, took on the responsibility of planting and caring for the garden each Monday afternoon. 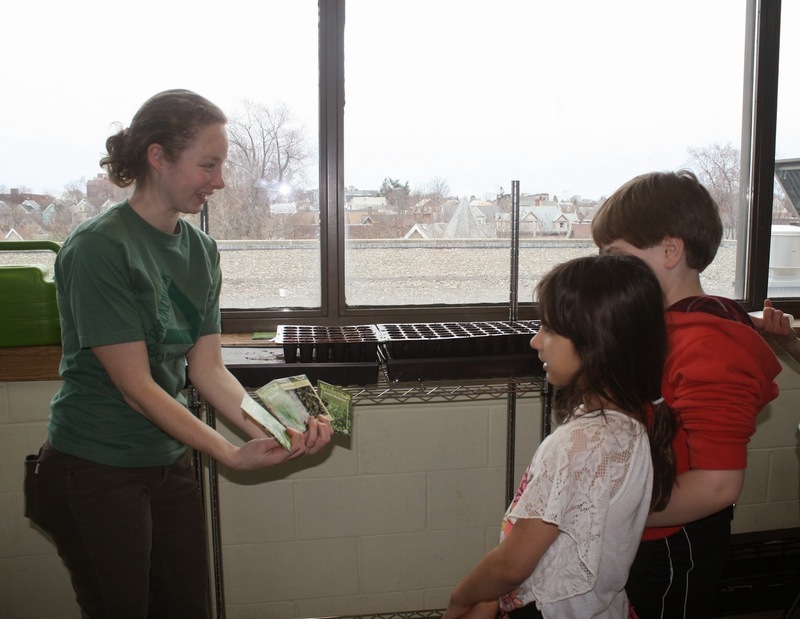 They even helped start seedlings in the Winter Hill seedling farm located on the fourth floor of the school (look for an upcoming post for more details about the seedling farm). It didn't take long for the plants to outgrow their home on the 4th floor. 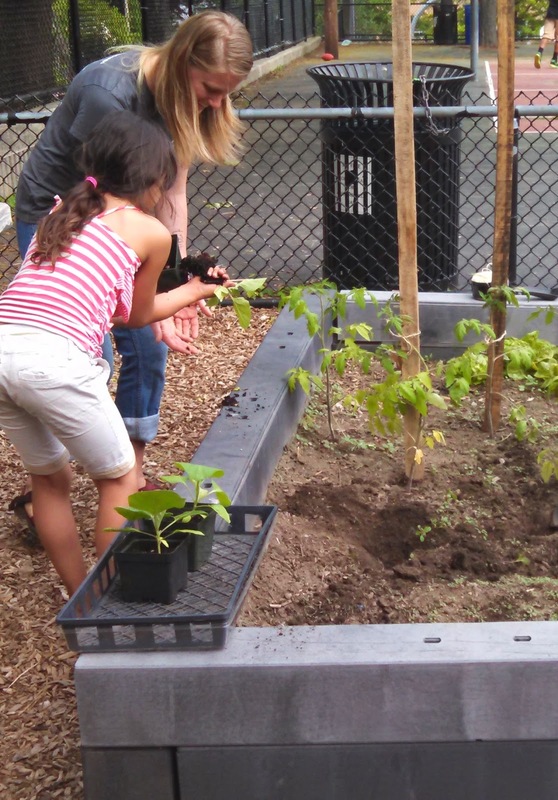 With the help of Emily and her students, the garden received its first transplants. 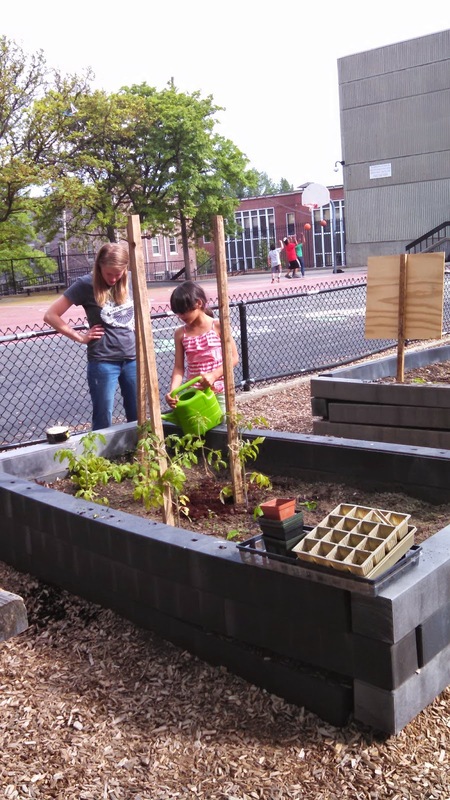 In the last few weeks of the school year, students from the fourth grade science classrooms also helped to plant the garden as part of a gardening curriculum designed by Groundwork Somerville and funded by the SPS Farm to School Projects USDA Planning Grant. 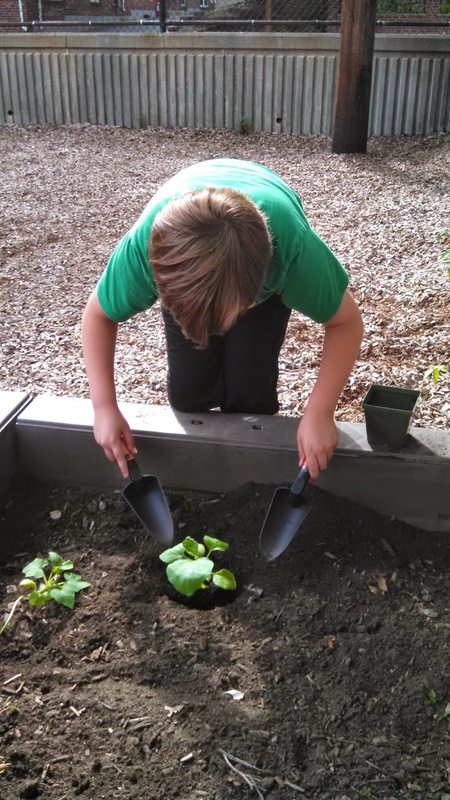 Check back in for our three part series, Growing Skills in the Garden. 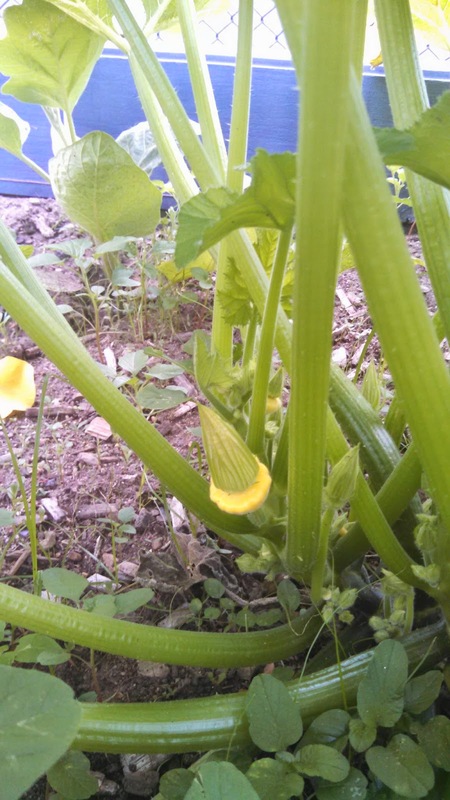 Now the garden is lush and almost ready for harvest. 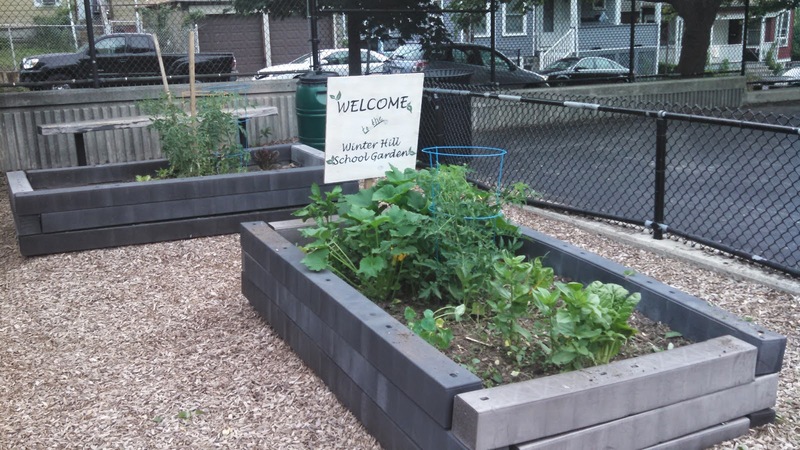 Garden facts provided by Groundwork Somerville. 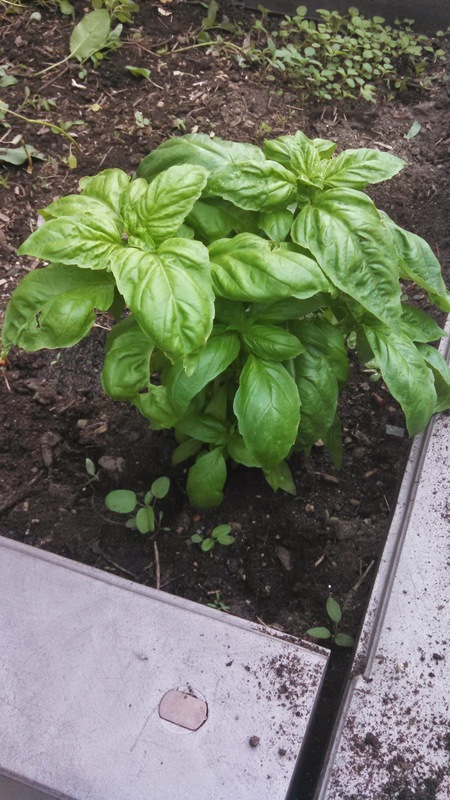 Content and pictures provided by Tricia DiPasquale and Karyn Novakowski, SPS Farm to School Project Director.